Today we’re featuring The 31st, an unofficial sequel to Halloween Resurrection that takes place on October 31, 2008, exactly 30 years after Michael Myers broke out of Smith’s Grove Sanitarium and 11 years after the events of Resurrection. After breaking into the infamous Myers House, which is now a museum, the kids of Haddonfield are looking for a way to celebrate, despite the town’s horrid history of Halloween. Despite some audio problems in the opening scenes, there are some cool nods to original franchise, a fun twist or two that I actually didn’t see coming, adding to the fun. This homage was made in 2012 for a fan film festival that ended up being cancelled and it was shot over four weeks by a group of friends. The best part is how they acknowledge the Rob Zombie films while maintaining the continuity of the first eight films in the original series timeline. 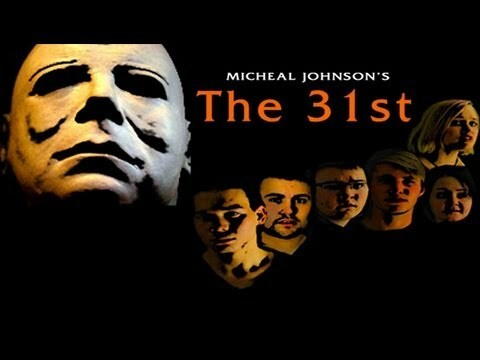 The 31st is written and directed by Micheal Johnson. Watch the film in the player below, and then give us your thoughts in the comments! Want to see your fan film featured on Halloween Daily News? Contact us at HalloweenDaily@gmail.com.